Please call or email for more information regarding , repair, sales, or quotes. 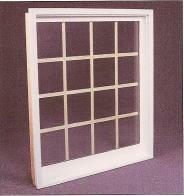 Wood grid work can in most cases, be closely matched to the existing windows which attach to the interior of the window with push pins, or simulated divided lite windows where the grid work is attached to the inside and outside of the window with double sided tape or GBG grid, which is in between the glass in an insulated window. 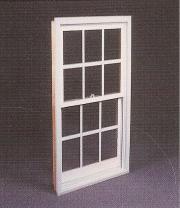 To give the affect of a true divided lite window while taking advantage of insulated glass metal grid work is attached to the outside of the glass while wood grid work is attached to the interior of the window. As another option metal grid work can be placed in between the two pieces of glass on an insulated unit. 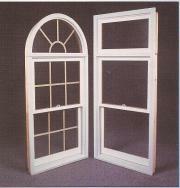 We also offer wood sash replacement kits as an option. 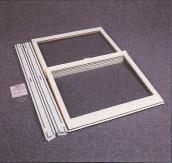 These kits are typically a cost effective method of replacing drafty sashes without the overhead and evasiveness of complete window replacement .